As teachers, we know the benefits of giving kids movement in the classroom. It's easy to see that after even a short period of sitting, kids need to get the wiggles out so they are ready to learn again. Scientific studies support this idea and even contend that frequent brain breaks lead to higher academic achievement, increased concentration, better on-task behavior, and improved student attitudes. Sounds great, right? 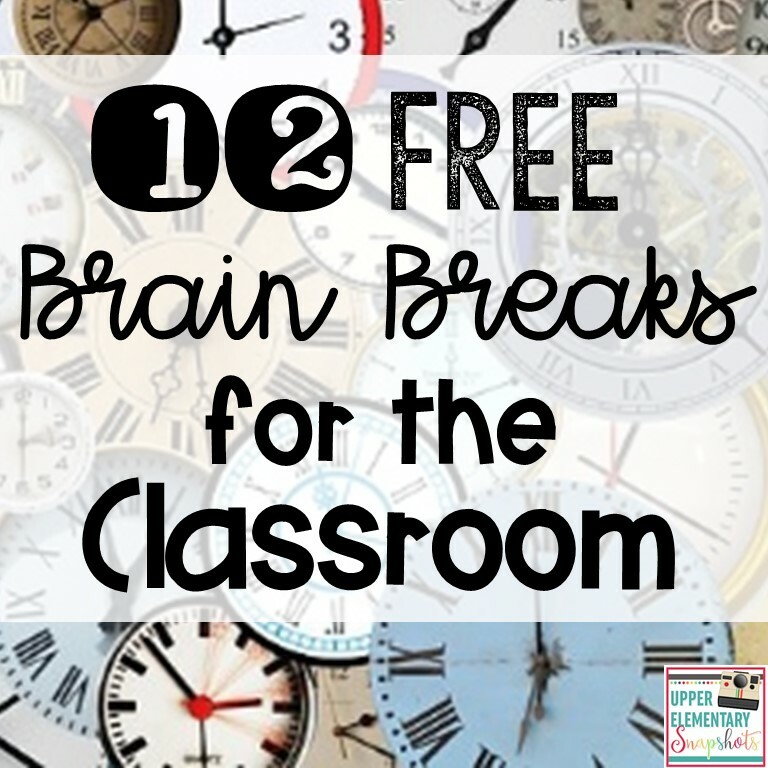 I love brain breaks so much that I wanted to share a dozen of my favorite brain breaks here. If you like them, you can find a link at the bottom of the post to a free set of 12 task cards in my TpT store. Ride a horse through the deserts of New Mexico. 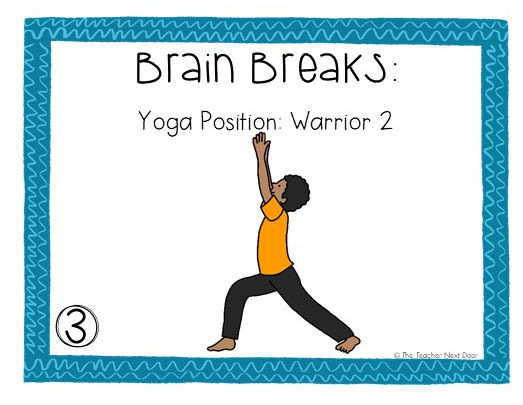 Variation: This game may also be played by using other places in the world with different movements. The teacher writes one fun/silly action on a piece of paper and crumbles it into a ball. For example, do five jumping jacks, march like a soldier to the front of the room, spin around three times… Make enough “snowballs” for the entire class (plus a few extras just in case). Give each student a snowball. As soon as kids make eye contact with someone, they each toss the snowball and catch the other snowball. Kids walk to another person and repeat until the leader says stop. Then the leader calls on several students to open his/her snowball and do the action listed. Then kids crumble the papers and repeat. This one is really fun and is a variation of freeze tag, without the tagging. 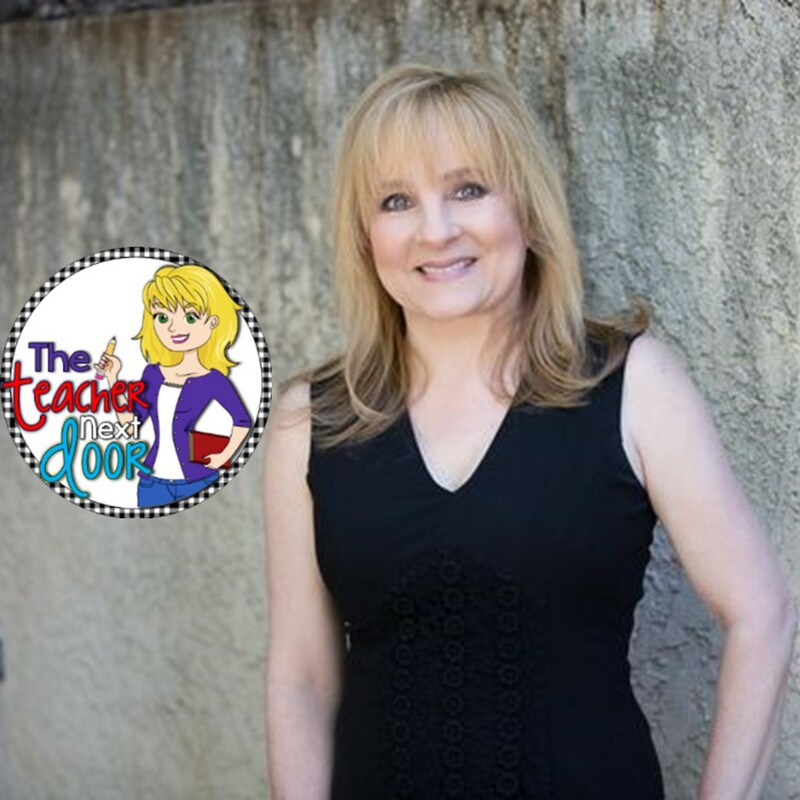 The leader tells the students to move around the room in different ways (walking, hopping, skipping, tiptoeing, giant steps, baby steps…) without bumping into other people or things. When the leader says Statue of a _________ (Lion, Bear, Baby Bunny, King, Diva, Artist, Olympic Weightlifter…), kids freeze and pose like that person/animal. 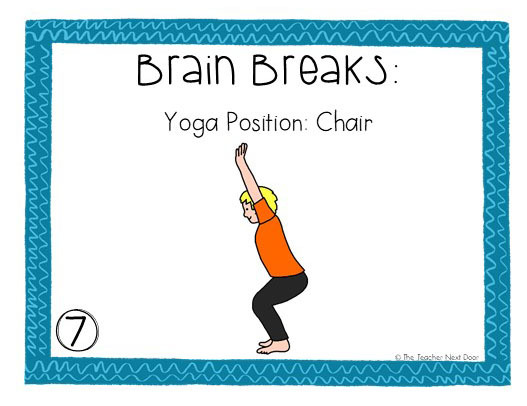 Then the leader says “Unfreeze and _______ (tell students how to move around the room). You are playing an instrument in a marching band. You are a circus clown. You are a famous rock star. 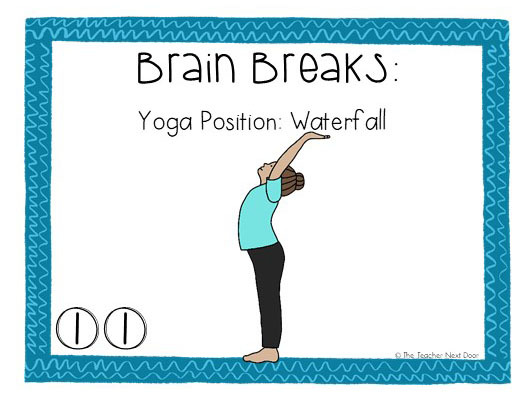 Kids truly need to have expectations and procedures set up for brain breaks as well. Here's a fun activity but I make sure to have the we don't high five too hard talk before we do this one! 1. Kids walk around the room and try to gently high five every person in the classroom in one minute. 3. Put kids in small groups of 4 – 6. Each group stands in a circle. The tallest person starts a high five chain (he/she high fives the next person, who high fives the next person, all around the circle until it is back to the first person. Variation: A high five and then down-low chain. Kids are placed in small groups of 4 – 6. Each child thinks of an animal but does not tell anyone what it is. When the leader says go, each person in the group acts out his/her animal silently. The goal is to arrange the group’s animals in order from the largest to the smallest without making a sound. Students raise their hands when done. Kids sit on the ground with space around them. As the leader tells what the roller coaster is doing, students act out the movements. Choose one student to be “it” and to wait outside (or cover his/her eyes). The leader hides the hidden treasure (could be any object) in the room. The person who is “it” tries to find the object by watching the clues the class gives in the form of movements. Once “it” finds the hidden treasure, the leader chooses a new “it”. Move forward: Swim forward in place doing the breast stroke. Move backwards: Do two thumbs in the air going backwards. Move to either side: March in place and Egyptian point to the right or left. Go higher: Pretend to push up the ceiling several times. Each child places a pencil on the floor. The leader rolls a dice and tells how many times students jump over the pencil. Variation: Students work in pairs so that there are two pencils a foot or two apart. When the number of jumps is called, a student jumps over his/her pencil, then lands in between his/her pencil and the partner’s pencil for one jump. Then he/she turns around and repeats until the number of jumps over the pencils is completed. 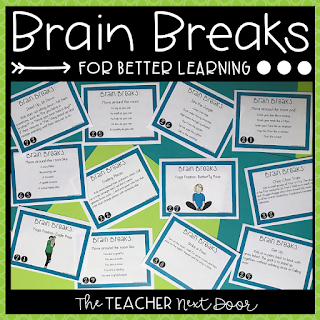 If you'd like a set of the FREE Brain Break task cards, click here to hop over to my TpT store and grab a set. 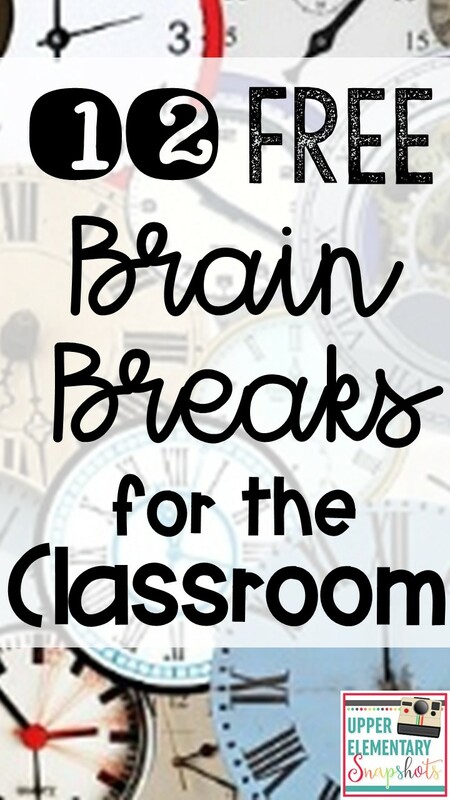 Looking for a more complete set of Brain Breaks? I love using this set of 100 task cards with more than 250 different activities! Click here to find out more!